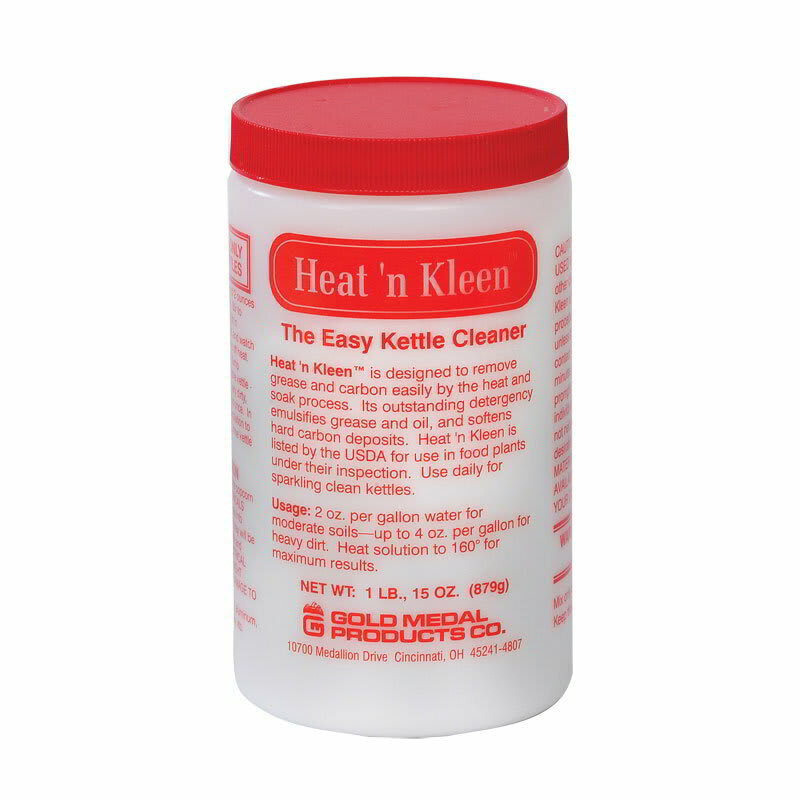 The Gold Medal 2095MC Heat N Kleen cleaner emulsifies grease and oil and softens carbon deposits to clean kettles. To efficiently remove carbon on a regular basis, it uses a heat-and-soak process and contains 31 ounces of product per jar. For maximum results, both the solution and the water should be heated to 160 degrees Fahrenheit. Moderately dirty kettles can use 2 ounces of solution to 1 gallon of water, while extremely dirty kettles will need 4 ounces of solution to 1 gallon of water.